5 Wonderful Free Kindle History Books for Friday! *(Free for Kindle Unlimited) Of Plagues and Vampires: Believable Myths and Unbelievable Facts from Medical Practice (Deal, Not Free) by Michael Hefferon. Price: $7.95. 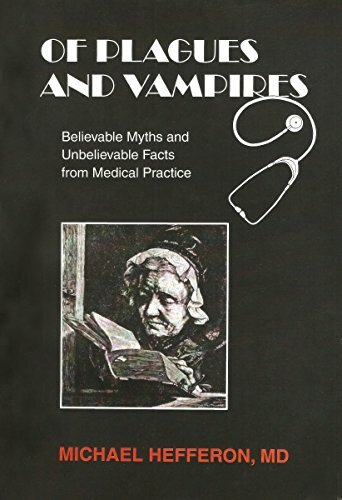 Genre: History Deal, Sponsor, Origin of Myths in Medicine, Medical Myths, Traditional Notions Versus Scientific Evidence. Rated: 5 stars on 1 Reviews. 107 pages. ASIN: B074CH1N4K. Find the paperback version here. *Wound the Church: Psychopaths Among Us (Nephilim Imprint) (Deal, Not Free) by V. Bryan. Price: $0.99. Genre: Christian Book Deal, Sponsor, Christian History. Rated: 5 stars on 1 Reviews. 148 pages. ASIN: B076DZBJRZ. ***Common Sense by Thomas Paine. Price: Free. Genre: History, Americas, United States. Rated: 4.6 stars on 1,395 Reviews. 75 pages. ASIN: B075FJ1D6Y. *Martin Van Buren: A Life From Beginning to End by Hourly History. Price: Free. Genre: Biographies & Memoirs, Leaders & Notable People, Presidents & Heads of State, History. Rated: 4.5 stars on 11 Reviews. 45 pages. ASIN: B072JXXYZJ. Posted on November 4, 2017 Author KibetCategories Free Kindle History Books, HIstorical, HIstory, MythsLeave a comment on 5 Wonderful Free Kindle History Books for Friday! 7 Awesome Free Kindle History Books for Wednesday! **Many Beaucoup Magics by Tom Garvey. Price: Free. Genre: Biographies & Memoirs, Historical, Military & Wars, Vietnam War. Rated: 4.9 stars on 59 Reviews. 147 pages. ASIN: B00YQS443Q. *Queen Victoria: A biography of the long-reigning Queen Victoria by Adam West. Price: Free. Genre: Biographies & Memoirs, Leaders & Notable People, Royalty,Historical. Rated: 4.7 stars on 27 Reviews. 40 pages. ASIN: B07671TWK7. *Queen Elizabeth: A Biography of Queen Elizabeth by Adam West . Price: Free. Genre: Biographies & Memoirs, Leaders & Notable People, Royalty, Historical. Rated: 4.6 stars on 18 Reviews. 43 pages. ASIN: B07673LNR9. John F. Kennedy: A Captivating Guide to the Life of JFK by Captivating History. Price: Free. Genre: Biographies & Memoirs, History. Rated: 4.7 stars on 8 Reviews. 80 pages. ASIN: B076YYMW95. Posted on November 1, 2017 Author KibetCategories Free Kindle History Books, HIstorical, HIstory, Military, Myths, WarLeave a comment on 7 Awesome Free Kindle History Books for Wednesday! 5 Excellent Free Kindle History Books for Tuesday! 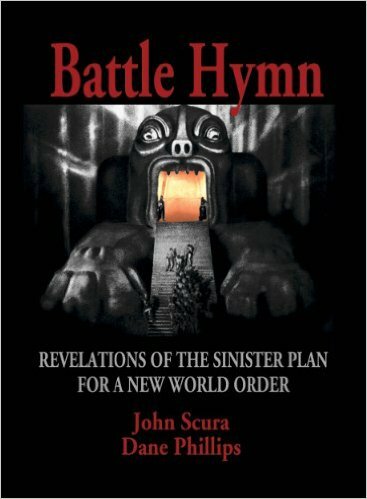 **Battle Hymn: Revelations of the Sinister Plan for a New World Order by John Scura, Dane Phillips. Price: $0.99. Genre: History Deal, Sponsor, One World Government, Elite Agenda, Reality, History. Rated: 4.5 stars on 68 Reviews. 422 pages. ASIN: B005KL6YT0. *World War 2: A Chilling Testimony of a German Citizen Living during the War – The Personal Account of Hans Wagner – 2nd Edition (WW2, WWII) by Suzy Miller, Hans Wagner. Price: Free. Genre: Holocaust, History, World War II. Rated: 4.7 stars on 27 Reviews. 68 pages. ASIN: B014O6M7M4. *Biography: Julius Caesar: His Biography in 30 Events (Julius Caesar Biography, Biography Books, Biographies Of Famous People) (Biography Series) by James Weber. Price: Free. Genre: Italy & Rome, Rome, Biographies & Memoirs, History. Rated: 4.6 stars on 31 Reviews. 83 pages. ASIN: B01FRGK7WM. Christopher Columbus & the Americas : 3rd Grade US History Series: American History Encyclopedia (Children’s Exploration History Books) by Baby Professor. Price: Free. Genre: United States, Travel, History, Women in History, Civilization & Culture, Reference. Rated: 4.2 stars on 5 Reviews. 32 pages. ASIN: B01A2YJ13A. The Thirteen Colonies In The US : 3rd Grade US History Series: American History Encyclopedia (Children’s American Revolution History) by Baby Professor. Price: Free. Genre: United States, Travel, History, Mythology & Folklore, Religion, Colonial & Revolutionary Periods, Colonial Period, Women in History, Civilization & Culture, Reference. Rated: 4 stars on 7 Reviews. 32 pages. ASIN: B01A2YIRS0. Posted on June 7, 2016 June 7, 2016 Author KibetCategories Ancient Times, Ancient World, Free Kindle History Books, HIstory, Military, Myths, travel, women in historyLeave a comment on 5 Excellent Free Kindle History Books for Tuesday!